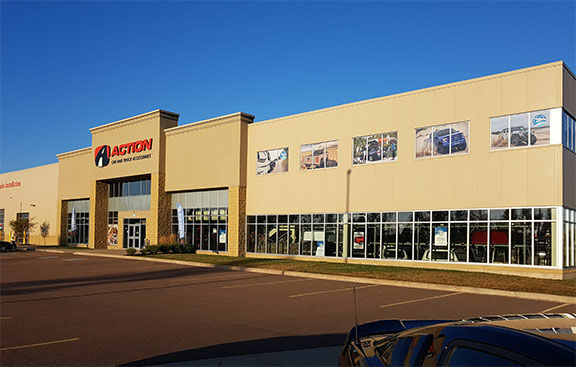 Action Car & Truck Accessories in Moncton, NB is your source for car starters, exterior and interior accessories, fleet products, performance parts, suspension parts, tires and wheels. We offer a full line of truck caps, tonneau covers, trailer hitches, trailers, commercial upfitting, snowplows, off road accessories, roof racks, lighting and tool boxes, just to name a few! Our knowledgeable sales staff are dedicated to help you find the products that will fit your needs. And our team of trained installers will work hard to make sure your products leave our lot installed properly and looking great! Stop by and visit us if you're in the area, 200 Horsman Road, Moncton, NB or give us a call at 506-857-8786.